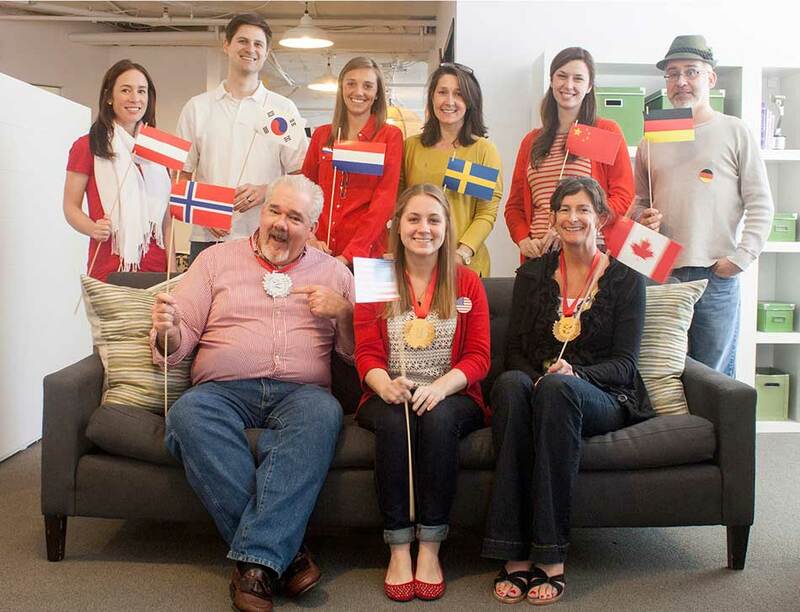 Resource Catches the Olympic Spirit! The Sochi 2014 Winter Olympics were approaching like a downhill slalom gate and the Resource team needed some serious fun. Since we are designers, and lovers of all things Olympic, we decided to immerse ourselves in the Games with our own in-house version. 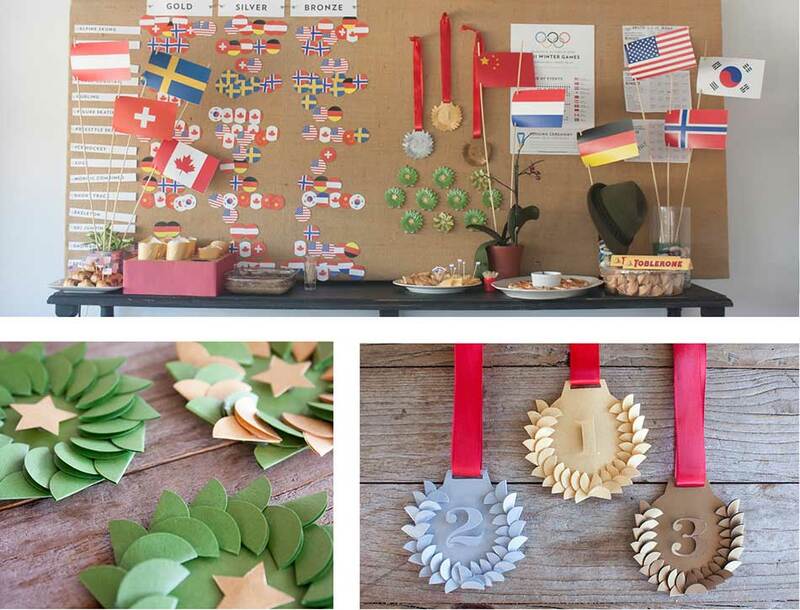 Flags, medals, posters and participation awards were designed and constructed in anticipation of 2 solid weeks of office sport. Each member of the Resource team drew a competing country from the ceremonial PMS 186 coffee mug, and the games were on! Half-Pipe! Biathlon! Curling! What are Johnny and Tara wearing today? The tension was simply unbearable! Medal counts in each event were tallied daily on our big scoreboard. At the conclusion of competition, medals were awarded for the top 3 people/teams in the medal count. 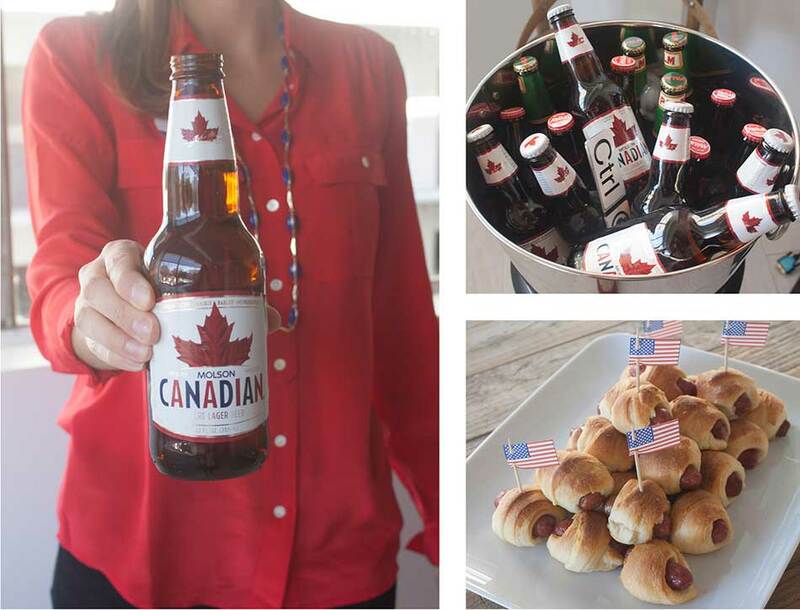 Resource competitors dressed in the colors of their chosen country and gathered to enjoy an official “Closing Ceremonies” potluck lunch featuring tasty international delicacies and beverages. After dessert and photo sessions with the press, all returned to their respective desks to bask in the glow of the Olympic experience. 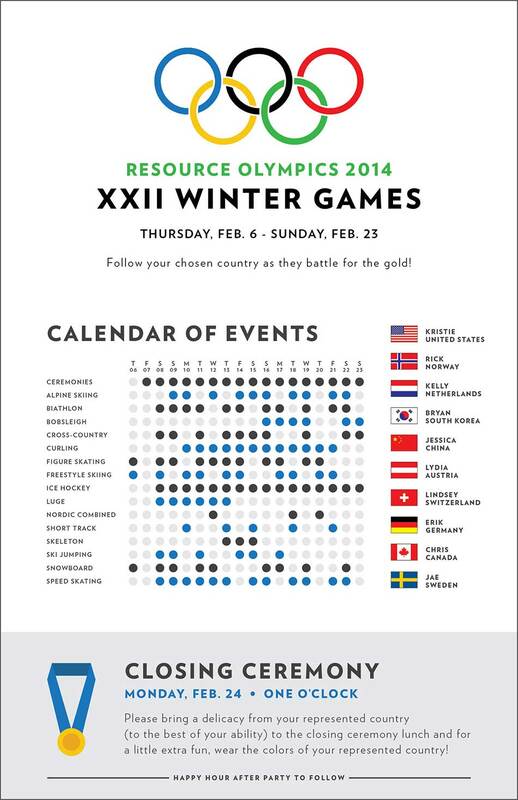 The 2018 Winter Games will be held in Pyeongchang, South Korea. Hope to see you there!